Manchester's congestion charge vote | What Car? 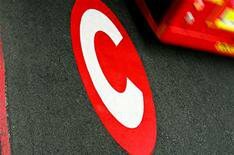 Residents of Greater Manchester will vote on the introduction of a congestion charge. Bosses of all 10 local authorities, which are members of the Association of Greater Manchester Authorities that make up the proposed charging areas, have agreed to hold a public referendum on the issue, probably in December. Under the scheme, peak-time drivers would pay 2 to cross the M60, then a further 1 to enter the inner charging zone of Manchester city centre. An extra two 1 charges would be levied to cross the boundaries heading out of the city. Delivery drivers would face paying up to 10 a day for repeated crossings. The project, earmarked to be introduced in 2013, would be combined with a 2.8 billion Government-funded package for public transport improvements if it gets the go-ahead.